Toronto, ON – The Ontario Hockey League today announced the All-Star teams for the 2016-17 OHL season. Red Tilson Trophy winner Alex DeBrincat of the Erie Otters headlines the First Team All-Stars at right wing after leading the league in scoring with 127 points in 63 games. This marks the third straight season the Chicago Blackhawks prospect has been recognized post-season following second team honours in 2015, and a third team nod a year ago. Otters captain Dylan Strome also receives a third straight All-Star honour, this time receiving first team recognition at centre after producing 75 points in just 35 games with a league-high points-per-game mark of 2.14. The Arizona Coyotes prospect previously received third team votes in 2016, and appeared on the second team in 2015. Leading the votes at left wing is Florida Panthers prospect Adam Mascherin of the Kitchener Rangers who finished third in league scoring hitting the century mark in points in his 65 games played. 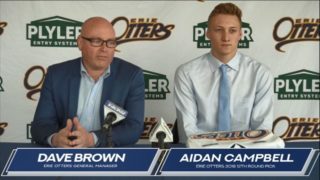 A pair of overage defencemen share the blue line with first team honours awarded to Max Kaminsky and Leo Lalonde Memorial Trophy winner Darren Raddysh of the Otters, and Santino Centorame of the Owen Sound Attack. 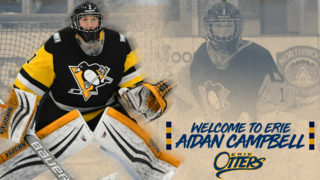 Centorame is one of three Attack voted to the first team following the club’s record season along with Goaltender of the Year and Montreal Canadiens prospect Michael McNiven, and Coach of the Year Ryan McGill. 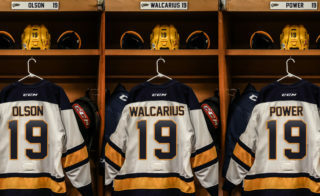 The Attack lead the way with a total of seven representatives including the forward trio of Nick Suzuki, Jonah Gadjovich, and Petrus Palmu listed on the second team, while Kevin Hancock was voted to the third team at left wing. The Otters had five individuals recognized including three first team votes plus coach Kris Knoblauch on the second team, and right winger Taylor Raddysh on the third team. The London Knights had three reps spread across the all-star voting including second team netminder Tyler Parsons, and third team honourees Cliff Pu at centre, and defenceman Olli Juolevi with a second straight third team award. The Windsor Spitfires also featured multiple players including defenceman Mikhail Sergachev on the second team, and goaltender Michael DiPietro on the third team. Niagara IceDogs captain Ryan Mantha rounds out the second team on defence, while defender Filip Hronek of the Saginaw Spirit, and coach Drew Bannister of the Sault Ste. Marie Greyhounds represent their clubs on the third team. 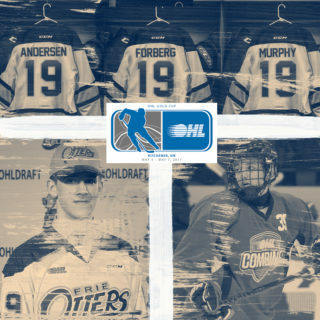 The OHL All-Star Teams were selected by the OHL’s General Managers. Players were voted on by position and received five points for a first place vote, three for a second place vote, and one for a third place vote. 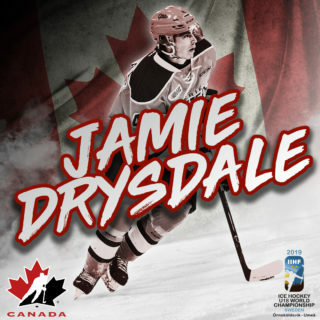 In the case of defencemen, the top two selections received five points, the third and fourth selections received three points, and the fifth and sixth selections each received a single point.